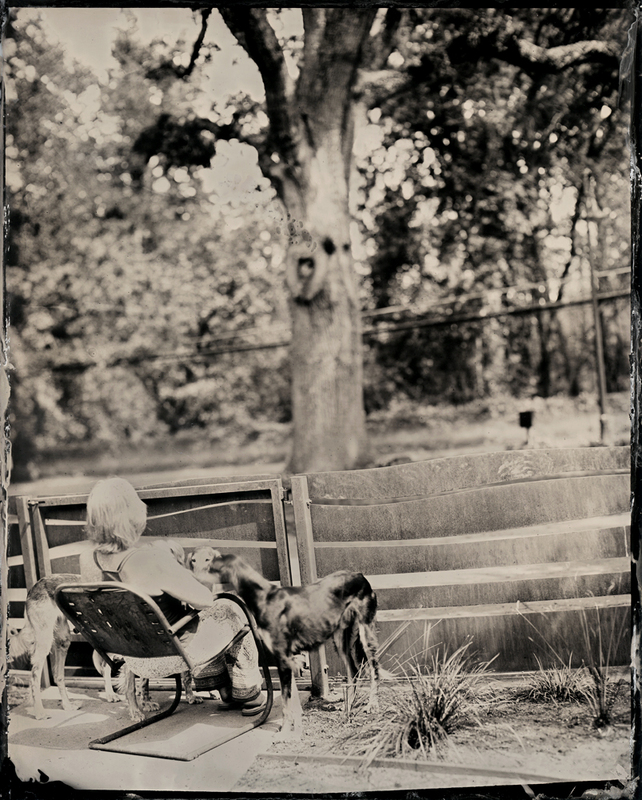 Wet plate collodion is a 19th century antique photographic process. An understanding of temperamental photographic chemicals is important, however an appreciation for the serendipitous is often necessary. 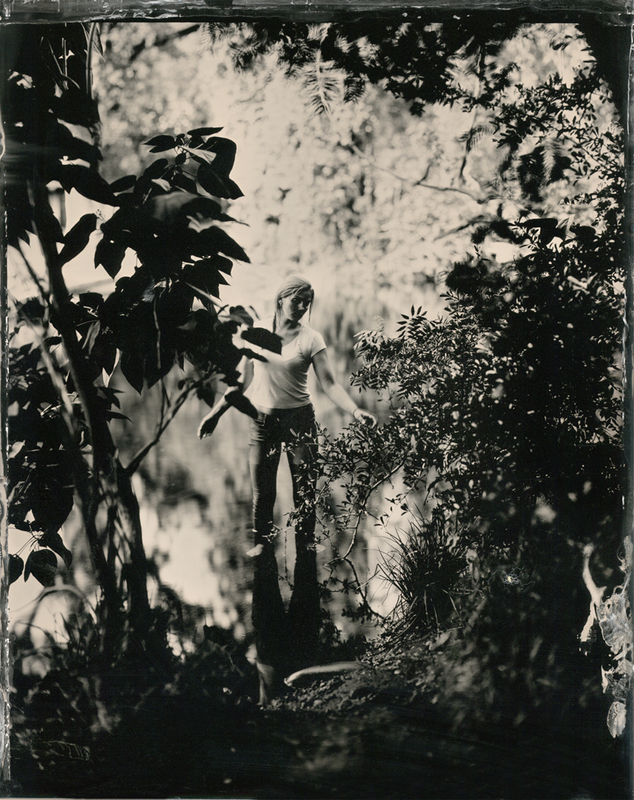 Collodion images are produced of silver traditionally on a plate of glass or tin. These images were made during the spring and summer of 2016 in the familiar backyards of friends and family.